Please taste fully the strength of the fragrance that only the real and natural vanilla beans have. 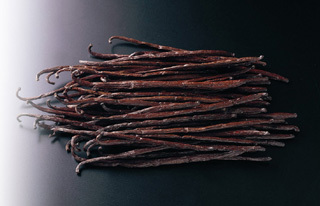 To say natural vanilla beans into bite, Infinite variety. The one that we are using in the premium vanilla, is equivalent 1Kg10 ten thousand yen in the general store. It is a natural Madagascar highest grade material that is used at three-star restaurant class. Softness that only good quality natural material has, Please Enjoy the premium time rich fragrance, spread at the moment when You put in the mouth. In Japan, there is no other shop which was particular about vanilla like us. Basic of all Sweets. VANILLA. That's why difficult. That's why we're handling it seriously. This is our answer Sweets Magic to answer to your desire to enjoy the best pudding with best quality. The blue sky, rich sea, and lush green forest. 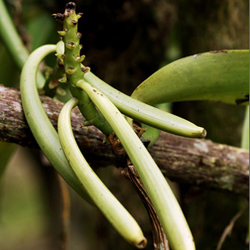 Simply because of it's rich natural land, that superior quality vanilla beans can be created. Not artificial flavour, but real natural vanilla. Created from hard work, patience and effort. Madagascar is located in the offshore area of South Africa. 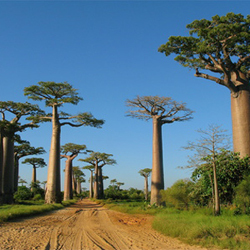 It is well known thanks to world-famous animation movie "MADAGASCAR". Flight time is approximately 15jam from Bangkok. Extent of 1.6 times than Japan. 4th largest island in the world. Tropical climate with high temperatures and humid. If pollinate one by one by hand between 4am until 11 am, then the seeds will grow. What a troublesome process. Vanilla beans is like banana. Belongs to the orchid family, and the flowers can bloom beautifully. Aging and slowly becoming brown color. 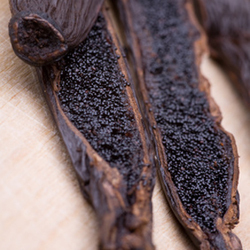 Black seeds are jammed inside vanilla bean pod. Place of origin of vanilla is Mexico. When Bourbon dynasty was in power in France, and the Spanish troops spreaded in Europe, large-scale cultivation started in Madagascar. Let me explain the 3 reasons. First - Carefully selected material with golden ratio combination! The main ingredient of The Premium Vanilla is of course VANILLA. In accordance with our principle to utilize the main ingredient as well as possible, we chose the best materials from all materials in Japan very closely, with the combination of the golden ratio to create a black label. That's why DELICIOUS! Finest natural Bourbon Vanilla Beans (Madagascar fertile earth production) Nasu Free Range Eggs (Nasu production, that famous with its imperial villa) Carefully selected HIDA local milk , our choice peasant production. Pasteurized milk to ensure its freshness. Delicious Reason Number 2 - Won 2008 GOOD DESIGN! Believing in the philosophy that beauty is one element of delicacy, We designed our cup seriously. 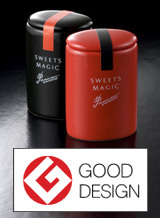 As the result, our pudding cup won the 2008 GOOD DESIGN Award. For the porcelain, we also chose the best. Actually, cold porcelain is the best cup to eat a cold pudding. Delicious Reason Number 3 - Freshness! Pudding delicacy is closely related to time. Particularly its aroma. Therefore, in Sweets Magic, we stick to freshness, only make pudding after you order. We do not provide frozen food, but the food that made according to your order at any time. That's why DELICIOUS!